I get asked to participate in a lot of on-line events, most of which I’m unable to accommodate due to my schedule. When I was asked to participate in this one, I knew it was something worth making a change in my schedule. Being hailed as the World’s Biggest Virtual Sales Kickoff, ELEVATE will be Thursday, Dec. 3! You want to miss this! Many sales thought leaders will be talking about leadership, social selling, best practices, trends and technology. Their goal? To equip you to have one of the best years possible in 2016! As soon as I heard about it, I knew I wanted to be involved! 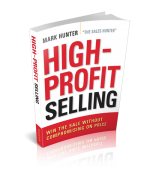 My peers and I are committed to helping salespeople globally, including you! During this free one day online event Dec. 3, you’ll hear one sales expert after another sharing strategies you can use immediately to grow your business. The beauty of ELEVATE is how each person is committed to sharing not mere ideas, but rather proven solutions. My session is devoted 100% to LinkedIn and what you need to do to make sure it’s working for you 24/7. I’ll share specific techniques I’ve done to gain major leads that have turned into major revenue. Yes! I Want to Find Out More About Elevate! ELEVATE is being conducted in conjunction with AA-ISP’s “International Sales Day Out,” where many of AA-ISP’s 70 local chapters will host local viewing parties to extend the virtual ELEVATE experience. ELEVATE and “International Sales Day Out” are open to sales reps, sales leaders, marketers, and anyone who works in a role that supports a sales or marketing function. Jim Kennan, CEO and President of A Sales Guy Inc.
Trish Bertuzzi, President and Chief Strategist at The Bridge Group, Inc.
After hearing about the event, don’t you want to sign up?! Here is the link. PrevPreviousAs a Leader, Do You Realize How You Impact Your Team’s Success?